It seems that Rob Cohen is in the mood right now. After releasing the first Jet Li pictures on the set of the Mummy. 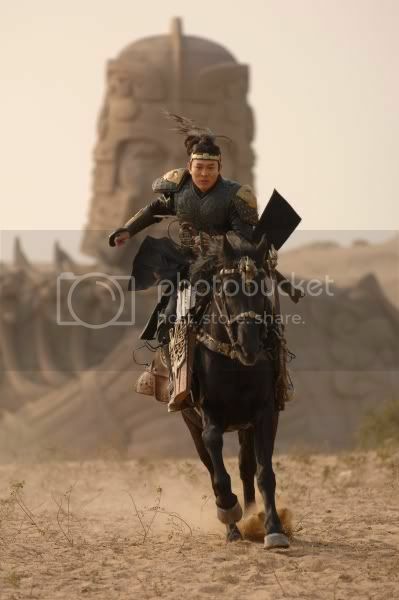 Now, Rob shared another photo of Jet Li riding in a horse. The photo reminds me of the movie Hero where Jet Li played as the title role. According to Rob's entry, he also just finished shooting Jet li and Michelle Yeoh's fight scenes. Now that is one scene worth waiting for.